Join us with the Red Dots Campaign! Following on from the success of Pale Red Dot, our team are now searching for more terrestrial rocky worlds around nearby red dwarfs. This year we are targeting Proxima Centauri, Barnard’s star, and Ross 154. Proxima Centauri is the closest star to our sun and scientists suspect that is has more than one terrestrial planet in orbit around it. It may be one of the most suitable places to look for life beyond our Solar System, as our instruments and technologies advance. 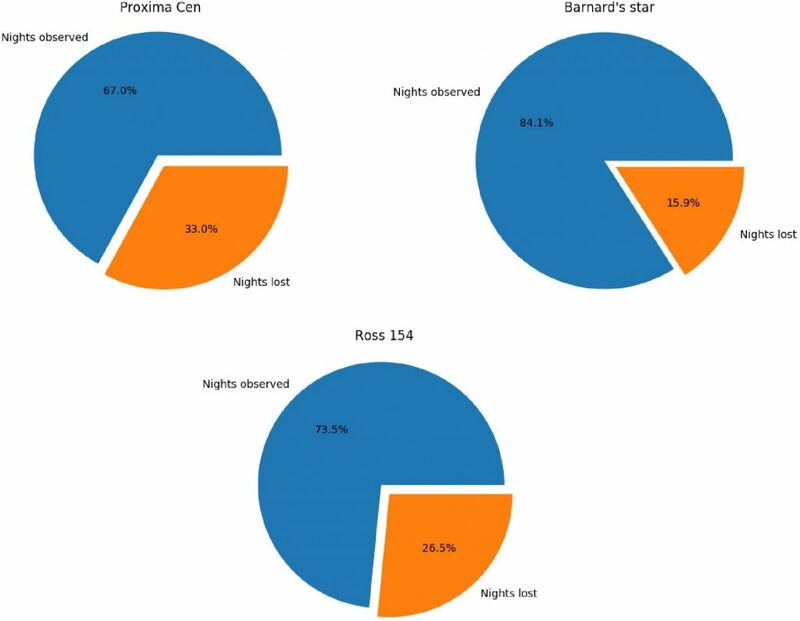 The other two stars observed during the Red Dots campaign are: Barnard’s star, a low mass red dwarf almost 6 light-years away, and Ross 154, another red dwarf, 9.69 light-years away. Throughout the entire campaign we will be presenting real science in real time. This will give YOU, the astro community, access to observational data as the campaign unfolds. This way, everyone will be able to look for signals (and hopefully more planets!) at the same time we do. No one can say for sure what the outcome of the Red Dots campaign will be. That’s one of the things that makes it so exciting. After data acquisition and data analysis together with the community, the scientific team will submit the results for formal peer review. So how can you get involved with the hunt for planets around Proxima Centauri and other stars? Social Media – Keep an eye on the website, our facebook page and on twitter @RedDotsSpace #reddots for the latest updates. Forum – Our Red Dots Forum is a place for you to ask questions, discuss the Red Dots campaign with other contributors, and ‘ask the experts’. Community Log – This blog will provide a weekly update on outreach and engagement. Stay tuned to learn about the latest news, people are reacting to Red Dots, and how you can contribute. Science Log – We’ll be providing regular updates from Red Dots HARPS observations, including new releases of data, the progress of the photometric observations and science articles from the team and experts around the world.